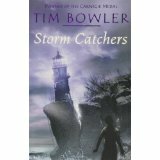 Tim Bowler is born in Leigh-on-Sea, the setting of his first novel, Midget. 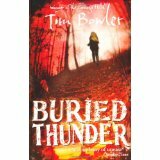 After studying Swedish at University, he worked in forestry, the timber trade, teaching and translating before becoming a full-time writer. 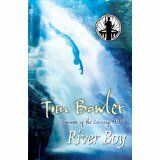 He has written 20 novels and won 15 awards, including the Carnegie Medal for River Boy. He lives with his wife in a quiet village in Devon and his workroom is a small wooden hut known to friends as ‘Tim’s Bolthole’. 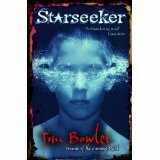 Chat to Tim on Twitter @Tim_Bowler or find him at www.timbowler.co.uk. 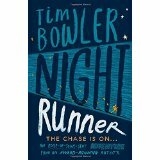 Night Runner: Zinny’s life is falling apart. Shadowy figures are following him. His parents are keeping secrets but he can’t figure out why. 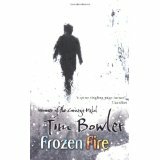 Then his mum ends up in hospital, his dad disappears, and Zinny has to do whatever he can to save his family. Even if it means helping the very men he’s been running from… As the clock ticks, Zinny knows it’s only a matter of time before someone ends up dead – and it could be him. Sea of Whispers: Hetty’s always been a bit of a loner, preferring to keep to the outer edges of the close-knit island community. But when a strange woman is washed up on the shore, Hetty finds herself under increasing scrutiny from the islanders. There’s a connection between Hetty and the woman that makes people suspicious, so when death comes to the community the woman is branded a bad omen and Hetty has no choice but to take matters into her own hands. As she heads out to sea, a storm is breaking and the whispers that she’s heard before are louder than ever. Voices from the very depths of the sea… and they’re calling her name. 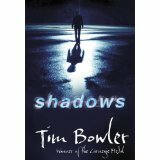 Shadows: Jamie is under pressure from his father to succeed. In the competitive world of squash, his dad is determined that Jamie should succeed where he failed. The emotional and physical bullying that Jamie has to endure makes him recoil into himself until he feels backed into a corner and doesn’t know where to turn. Then he discovers the girl hiding in his shed and sees an opportunity, not only to help her, but to get away from his own life too. Together they go on the run – but danger is coming after the girl and it’s surely only a matter of time before they’re both discovered. Jamie knows the time is going to come when he’ll have to emerge from the shadows and face up to his problems – whatever the cost.